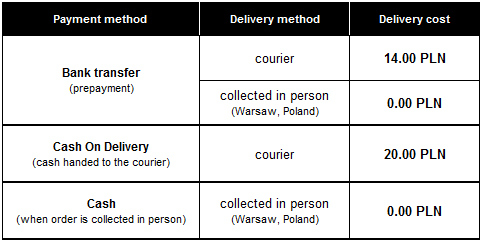 The delivery of Goods is limited to the area of the countries listed below. The products are delivered to the address given by the customer while placing the order. Delivery of the ordered goods is at the expense of the customer and is carried out by the professional delivery company (courier). Most orders placed in the Betelli.co.uk store are sent within 24 business hours.